Carel Acr Systems India Pvt. Ltd.
With an impressive work record in the industry, we are engaged in providing a premium range of Passive Temperature Sensors. The provided sensors are assembled by our adept professionals using the quality-approved components and leading technology. 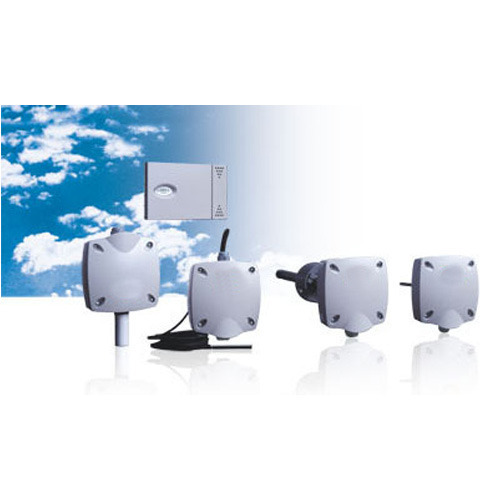 The offered sensors are highly demanded in the market owing to their accurate performance and long working life. Apart from this, our valued clients can avail these sensors in market-leading cost. Carel offers increasingly advanced and complete global solutions. For this reason, Carel has designed an entire range of probes that respond to the needs of HVAC/R installers and manufacturers, as well as for the control of Carel’s own line of humidifiers. The range has been enriched with the most innovative technological solutions, offering new international standards at increasingly competitive prices. Incepted in the year 1973, in Maharashtra, India, we “Carel ACR Systems India Pvt. Ltd.”, are the reckoned Manufacturer and Supplier of wide assortment of Industrial Humidifiers, Air Humidifiers, Chill Booster, Evaporative Cooler, Programmable Controller And Sensor and Evaporative Cooling And Humidification System. We have set business up as Pvt. Ltd. Company worldwide. The offered systems are precisely manufactured by making use of supreme grade components with the help of ultra-modern machines in compliance with set industry norms. Our offered systems are widely used for cooling, regulating temperature, controlling programs and other such purposes in different industries. Moreover, these systems are checked for their quality on series of quality parameters before being supplied to our clients. We offer these systems to our clients in different technical specifications as per their necessities. These systems are widely appreciated by our clients for their enormous features such as precisely engineered, long service life, smooth functioning, less power consumption, easy to install, easy to operate and low maintenance. We are offering all our products under the brand name Carel.